It is frequently heard that campaigners saying democracy has no colour. Oh yes it has! We have seen what had happened to our compatriot Andargachew Tsige, haven’t we? It is also being heard shouting slogans like, “Injustice anywhere is injustice everywhere!” Not true!!! Habtamu Ayalew is dying in hospital bed denied of going abroad to get treatment to save his life. In reality, nobody cares, until such a crime against humanity knocks at the doors of the interest of those whose voices matter. Injustice in one place is not alright if it is against the interest of these super-powers, but in some place it appears to be okay because it doesn’t affect the interest of the UK and USA governments. Gadhafi and Saddam Hussein have to die horrific death because they went against the interest of the USA and the UK, I now clearly see. Everyone have heard the USA and the UK consistently moaning and demonising President Mugabe of Zimbabwe for killing people who opposed to his administration. What a hypocrisy! We have rarely heard any serious voice of protest when their pet regime in Addis Ababa kept mowing down protestors and littering the streets of Addis Ababa with dead bodies of Ethiopians. At least the USA State Department for Human Rights have been exposing these atrocities, but the USA Government is not reading them. Worse, the UK, who are the top funders of the Ethiopian regime, in training the police force and security had not been heard of uttering any word of serious concern. The Government of President Obama unashamedly praises the democratic achievements of one of the most brutal regimes in Africa, the TPLF administration, regardless of what is out there to be seen with naked eyes. President Obama did not blink to endorse the TPLF’s 100% controlled Parliament as a democratically elected Government. Shame on you, Sir! Shame! Shame! Everyone, including this author thought President Obama was one of the fair minded leaders of this world. How wrong! When shanty towns were bulldozed by the Mugabe regime, Operation Murambatsvina (Move the Rubbish) the cry of the UK and USA government in protest crowded our televisions screens, front pages of newspapers and the radios went crazy. I thought the ostracising of the Mugabe regime in that situation by the democratic world was just and fair. The UN was rightly urged to take action against such gross violation of human rights. The UK and the USA champions of the cause rallied behind the condemnation of the actions of President Mugabe and his regime and were behind all attempts to topple that government of the “dictator”. At the time, it was reported “Thousands of ‘illegal’ homes have been destroyed”, the lives of about 700,000 people were ruined. Who can tell them that the same is happening in Ethiopia in a larger scale? The Ethiopian regime of the late Prime Minister of Meles Zenawi and the new Prime Minister Hailemariam Dessalegn has been doing the same thing over the last 5 or 6 years, not just to 700,000 but around 5,000,000 people, in Gambella, in the Omo Valley, Afar, Addis Ababa, in fact, around the towns and cities of Ethiopia, but no words of protest are coming from the mouths of the leaders of the UK and USA. The total silence on the gross violation of human rights is deafening. The UK and the USA, where so many Ethiopian refugees reside are turning blind eyes and deaf ears. Lots of articles have been published on the land grab in Ethiopia and this writer does not want to dwell on that at the moment. The land policy of the Ethiopian regime should have deterred the funders, particularly the UK and the USA, from pumping in millions of dollars and pounds, the hard earned tax-payers money until the Ethiopian people have the right to own lands. The land should not be held by any government, leave alone the brutal ones, like that of Ethiopia, to be used as a weapon to supress the rights of the people. The ordinary citizens of the world would like to see firm principles from those with advanced economies like that of the UK and the USA to adhere to. 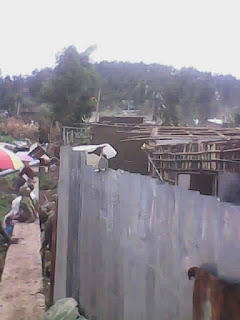 The Ethiopian regime declared that all the land belonged to the Government and could evict from the land anyone with the right to carry the walls and the roofs anywhere as those are the only possessions they are entitled to. This is crime against humanity. 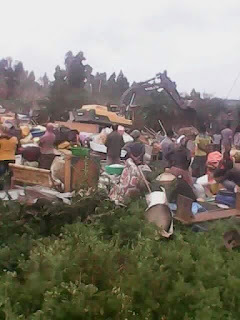 Hundreds of lives of our Oromo compatriots were lost when the regime started to evict farmers in the nearby vicinity of Addis Ababa to make way for the so called city “developers”, which are primarily the TPLF officials, to be rented out to foreigners for hard currencies. If that crime had happened in the Zimbabwe of Mugabe the cry would have deafened the ears of citizens of the world. It appears to be alright because it only happened to Ethiopians by the UK and the USA pet regime. Only last week, the men of Hailemariam Dessalegn moved into Lafto in the suburb district of Addis Ababa with graders and bulldozers to raise down houses that were claimed to be built “illegally.” Those houses were built on the farm lands acquired from the previous owners, the farmers. A three day old infant and the mother was bulldozed to death by the regimes demolishing squad. Why is this okay in the eyes of the USA and the UK? Is it because it happened to an Ethiopian enfant and an Ethiopian mother? People’s protest were met by guns shots leaving 10s of civilians dead and two policemen. 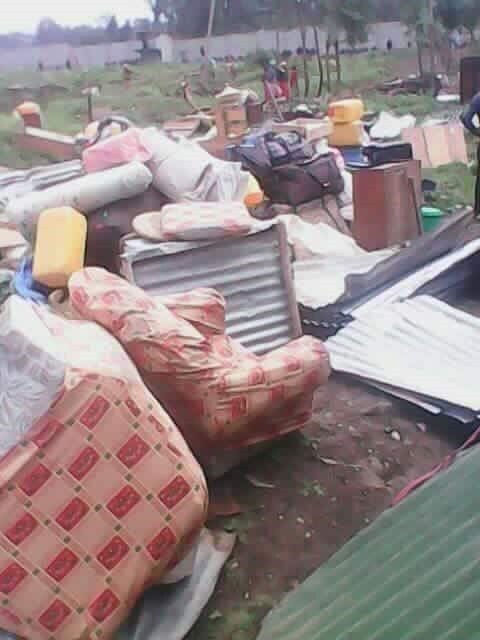 The Addis Ababa TPLF Police Commissioner Yihdego Seyoum had vowed to avenge the death of the two policemen, but who would avenge the death of 100ss of civilians to date by the Police to make way for the land grabbers and the TPLF officials who are madly building house in Addis Ababa and other cities? The fact that Yihdego (a clear Tigre name) of TPLF is the Police Commissioner shows that Addis Ababa is under siege by the Tigray People’s Liberation front, doing what they wished with the capital of Ethiopia, before breaking away their province of Tigray as an independent republic one day. It is like an IRA in West Minister, for heaven’s sake! The land was actually bought by the residents from the farmers who owned them before as that was possible then and nobody thought the city would expand that far. Many of the women who bought the land and built houses went to the Arab countries to work as maids and save money to buy those pieces of lands to start life in their own country. Unfortunately, their own country is occupied by fascist like regime of the TPLF, like the Nazis who would consider any other human being as human apart from the Woyyane supporting Tigres (not all Tigres but Woyyane supporting Tigres, I repeat). 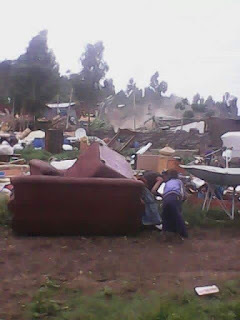 The following picture shows some belongings taken out in a rush by the residents before their house was demolished and they were thrown on the street to become homeless. This racists are committing crime against humanity, but the champions of democracy, the UK and the USA who lead their army into Afghanistan, Iraq and Libya to protect the “civil society” did not raise any voice of concern with regards to what had happened in Ethiopia. DOUBLE STANDARD! In the UK, even squatters have the right. You just don’t move on them and forcefully evict them. There is a process which is approved by the law of the land. Some of the houses demolished even the city centre that belonged to the fathers and forefathers were done so with only one explanation – “the land belongs to the state”. In the above picture, one can see how perplexed people stood dumbfound among the rubbles, confused and not knowing where to go or what to do next. The next picture also shows the homeless people trying to save what they could. The reason given demolished of “illegal residences” by UK and USA pet “government of Ethiopia” was exactly the same reason that was given by the Mugabe regime. Why the USA government, who have an Embassy in Addis Ababa saying nothing about it? Why is the UK not as vocal as it was in the case of Mugabe of Zimbabwe? Why is the television screen blank on the matter? Why are not the newspapers writing about it? Where is the BBC World Service? DOUBLE STANDARD IN ITS UGLIEST FORM!